Rockledge, Florida is found in Brevard County on the east coast of the state. The population of the city is just over 26,000 residents, but it's a part of a larger metro area, which includes Titusville, Palm Bay and Melbourne. Due to the close location to Cape Canaveral and the coast, Rockledge has many visitors pass through or stay in the area. It's very close to one of the Florida cruise ship ports, which brings thousands of visitors into the area every single year. Those driving to South Florida also pass through Rockledge on the way. With so many visitors coming to the area, the roads become crowded and dangerous. Visitors bring a unique style of driving and they are often unsure of the area roads. Interstate 95, which is the most dangerous highway in the country, passes through Rockledge. More than 185,000 vehicles use the Florida section of I-95 every single day. Many visitors come to the area and rent vehicles to see the sites causing traffic issues all throughout the area. Nearly 4,500 traffic accidents happen in Brevard every year. Many of the accidents lead to injuries and some lead to fatalities. Traffic crashes in Rockledge and Brevard County are on the rise. How much worse would the statistics be if those in charge of monitoring the roads and issuing tickets didn't do their job? In 2015, the authorities in Brevard County issued just under 28,000 traffic tickets. Out of these tickets nearly half (13,000+) were for speeding with about 1,500 for running a red light or stop sign. Only about 10% were dismissed by a judge. Your chances of having your ticket dismissed are very slim. Since it's possible to receive multiple tickets in one stop, you may rack up points rather fast. If you end up with 12 points in a one-year period, you will lose your license for 30 days. Get 18 total points in 1.5 years and that suspension triples to 90 days. Those drivers receiving 24 points on their license in 3 years will lose that license for an entire year. The worst part, if you're caught driving on a suspended license, the sentence is 90 days in jail and up to $500 in fines. The best way to avoid a suspended license is to obey the traffic law. After receiving a traffic ticket, you may attend traffic school to keep the points off your license. This will not only keep you from getting closer to a suspended license, but will also keep your insurance rates from going up. Start by paying the ticket and telling the clerk of the court you plan to enroll in traffic school. Then, enroll in the basic driver improvement course online and complete the course. You will be issued a certificate of completion, which you can turn back into the clerk of the court. That's all it takes to keep the points from a recent ticket off your driver's license. 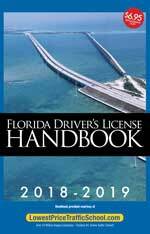 In the State of Florida, you're eligible for traffic school if you haven't taken the course in the past 12 months or a total of 5 times in your lifetime. Every driver gets the opportunity to take the course up to five times, but it can only be used to eliminate points once every 12 months. If you're not sure of your eligibility, check with the clerk of the court. All traffic tickets issued by any branch of law enforcement in Rockledge, Florida are handled by the Brevard County Clerk of the Court. The clerk of the court will take your payment and will take your certificate of completion from traffic school. 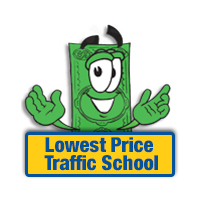 Make sure you inform the clerk if you plan to enroll in traffic school. Find out more about the Brevard County Clerk of the Court on their website.